This past weekend, it was my turn to celebrate a birthday. 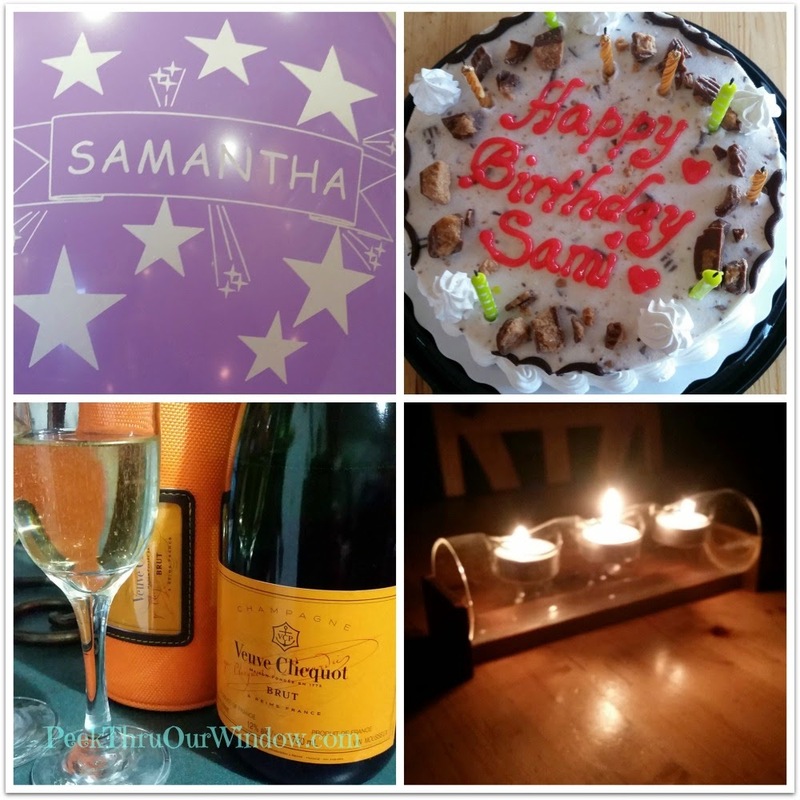 Balloons, DQ Ice Cream Cake, Champagne & Earth Hour! It was a lovely evening spent outside (very warm for March) by a bonfire! We even made a toast!